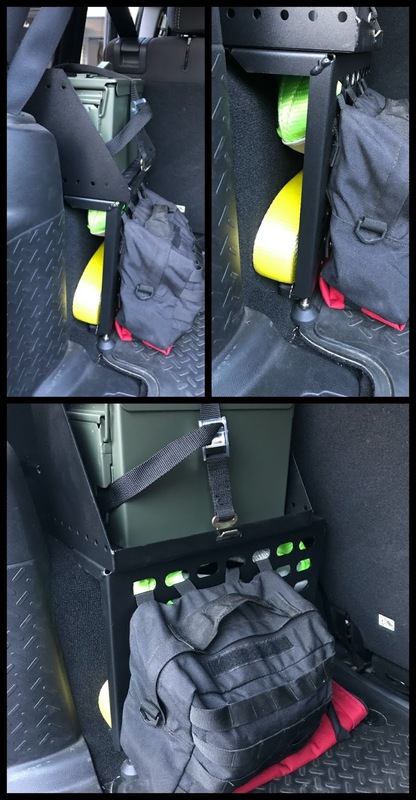 This past summer, I discovered a really cool storage solution for my Jeep trunk, the MorRyde Ammo Can Carrier. This ammo can carrier has many facets; a shelf, a molle panel, and space. The space between the wheel well and the molle panel allows for more storage. 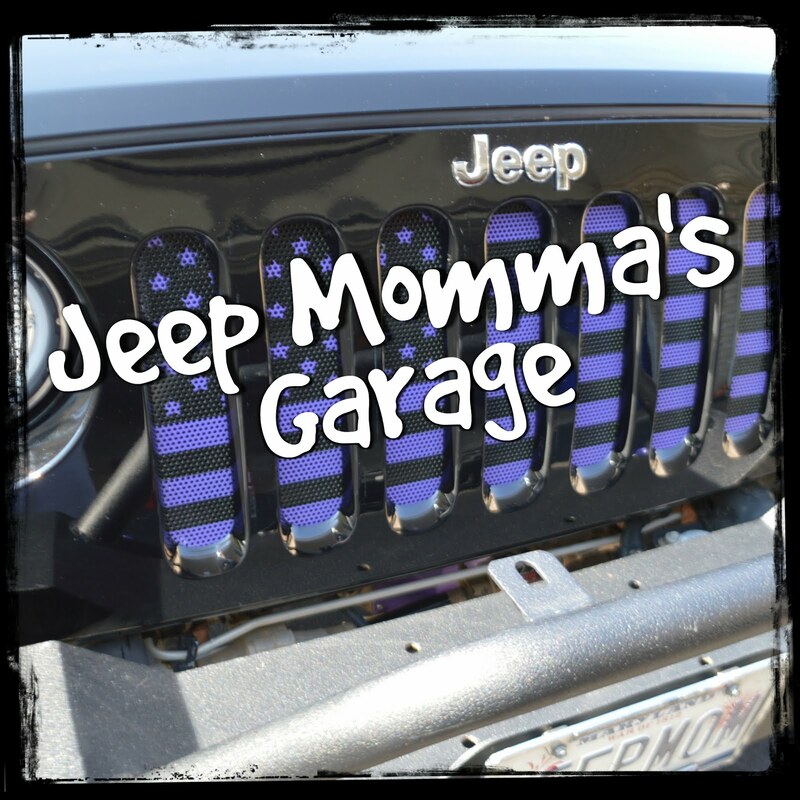 I filled my newly purple painted ammo cans with Jeep stuff, then strapped them to the shelf. The only down side is the ammo cans make too much racket. The handles are constantly clanging against the can. I couldn't take rattle sounds anymore, so out they went. Luckily, I found a new solution that I am testing out. 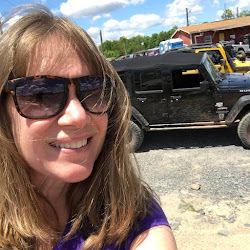 During Episode 9 of Jeep Momma's Garage ~ my video blog ~ my special guest Nate from SWB Crawler, shared one of his storage solutions, canvas tool bags. So I bought two 13 inch Craftsman tool bags. I was able to fill one up with the contents from both ammo cans. Now I can buy more cool Jeep stuff to put in the other bag. The bag fits perfectly on the ammo can shelf. Plus, the rattle noise is gone. I decided to use the ammo cans for my liquids - oils. It was suggested I use paracord on the handles. 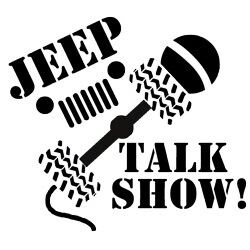 Sounds like another Jeep Project.